Weight management doesn’t get any simpler than this. Use the scale to weigh yourself regularly. 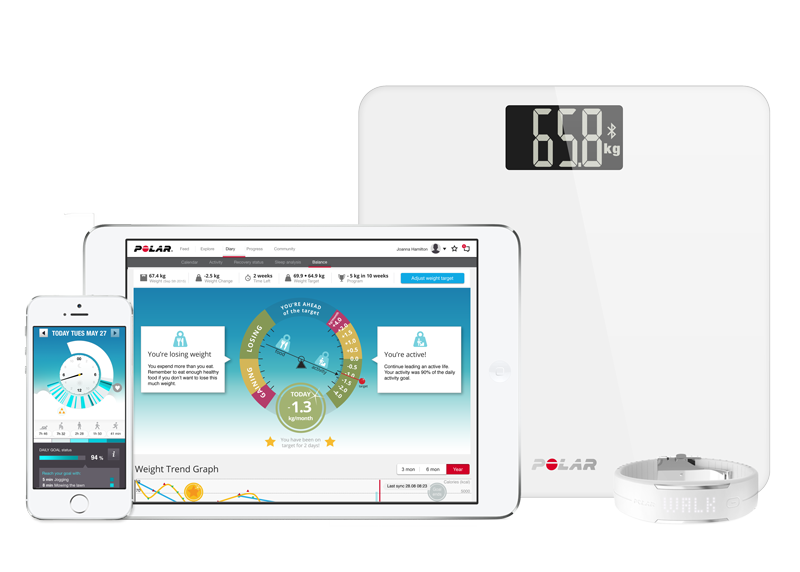 Your Polar device then stores your weight and auto syncs to the free Flow app. Set your personal goal in Flow web service, and we'll get you there.